Sangria is a universally loved drink that's perfect anytime, whether you're hanging out in a hammock on a lazy afternoon or celebrating a festive occasion with friends and family. Sangria is wonderful because it's delicious in its simplicity and fusion of flavors, and is infinitely customizable. Pink, fizzy and pretty, this is one chic sangria. Add ice to the reservoir and all remaining ingredients to your Margaritaville® Frozen Concoction Maker®. Mix. Then pour into a tall fluted glass and top with raspberries, then serve. This deep red sangria is loaded with tasty tropical fruit flavor - it's a paradise sunset in a glass! Add ice to the reservoir and all remaining ingredients to your Margaritaville® Frozen Concoction Maker®. Mix and then pour into tall glasses and garnish with orange slices before enjoying. Take sangria to the next level by mixing it with shaved ice. Don't limit yourself to wine - you can also add beer into sangria for a fun flavor twist that makes the drink extra refreshing! Add ice to the reservoir and all remaining ingredients to your Margaritaville® Frozen Concoction Maker®. Mix and then pour into tall glasses and garnish with lemon wedges. 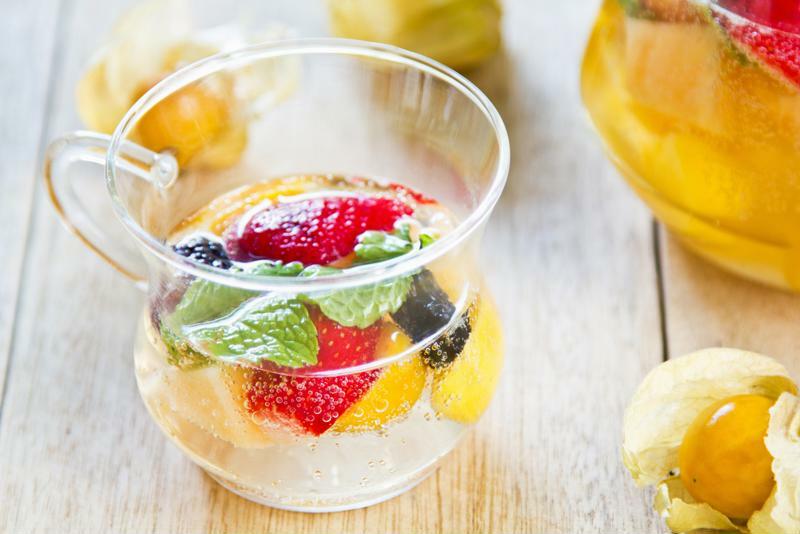 Fresh herbs, cucumber and a splash of fruit flavor combine for a one-of-a-kind sangria that will impress at any gathering. Add ice to the reservoir and all remaining ingredients to your Margaritaville® Frozen Concoction Maker®. Mix and then pour into tall glasses and garnish with cucumber slices and mint sprigs.